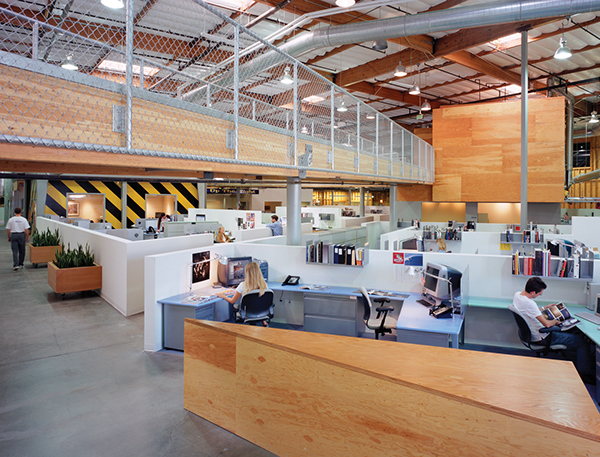 A 100,000 SF warehouse and laboratory building in Irvine was converted into the new creative offices for global agency FCB Worldwide. 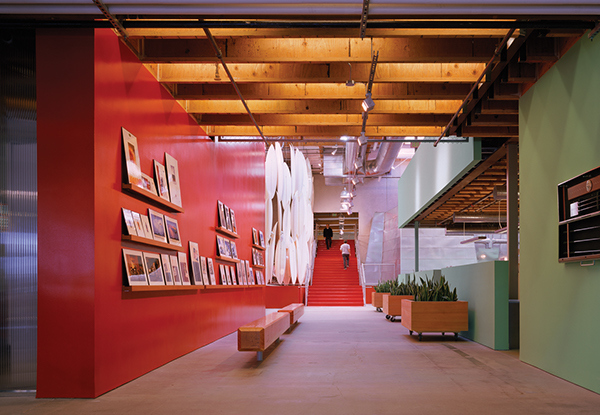 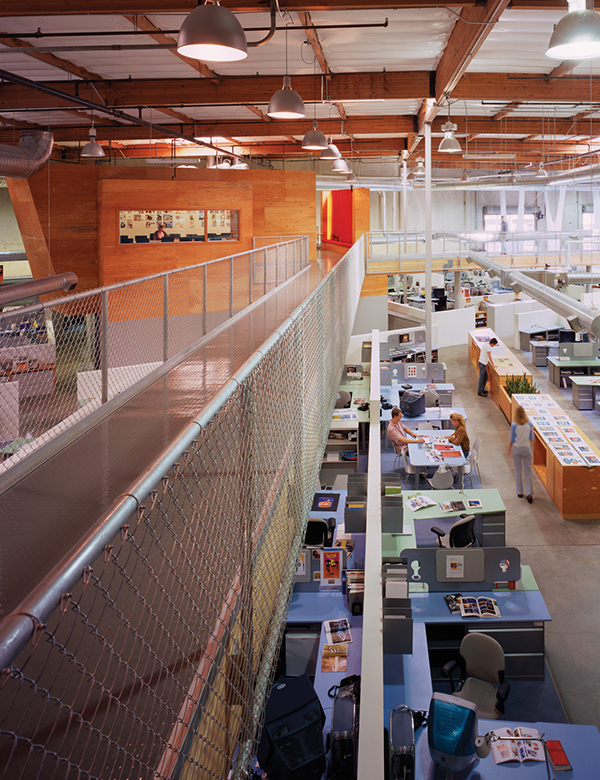 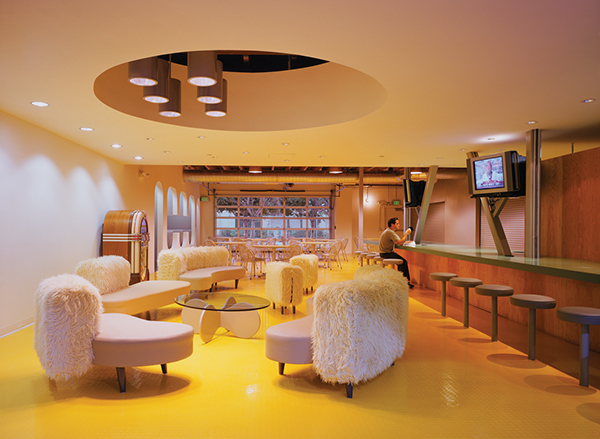 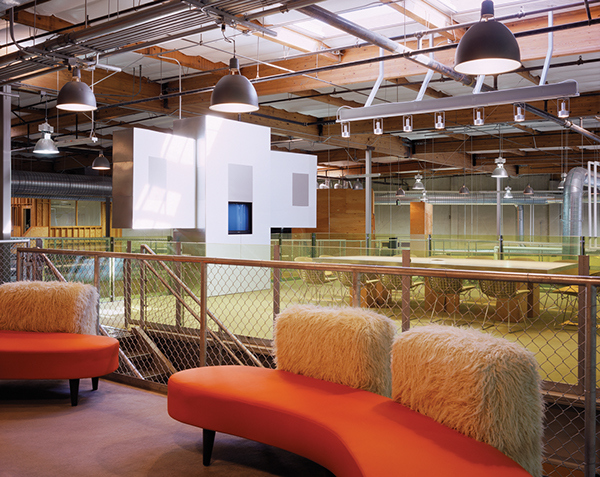 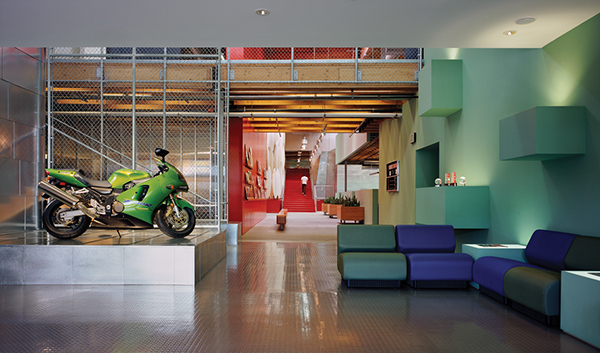 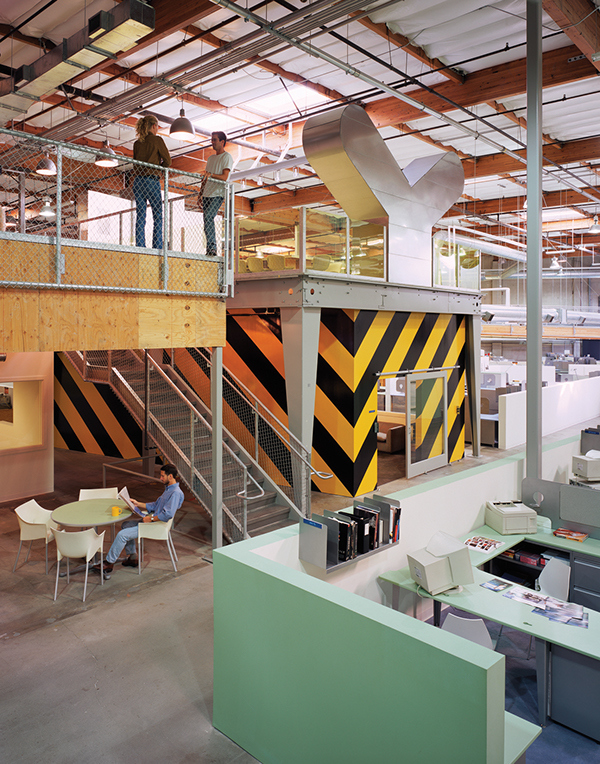 CWA surgically reconfigured the two-story laboratory/warehouse relationship and created a range of different collaboration spaces. 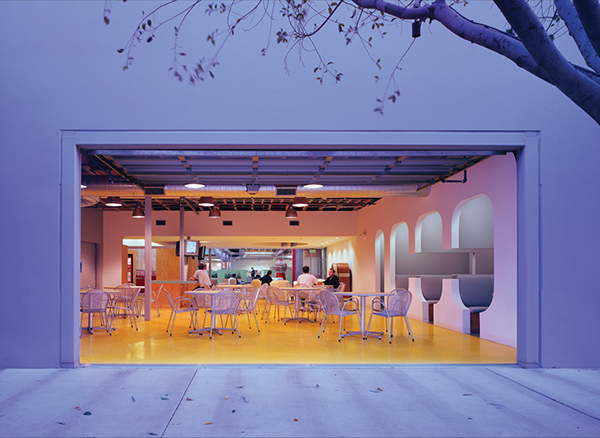 Inspired by the Southern Californian context, these spaces formed a sequence of diverse architectural episodes, reflecting the fragmented world of advertising. 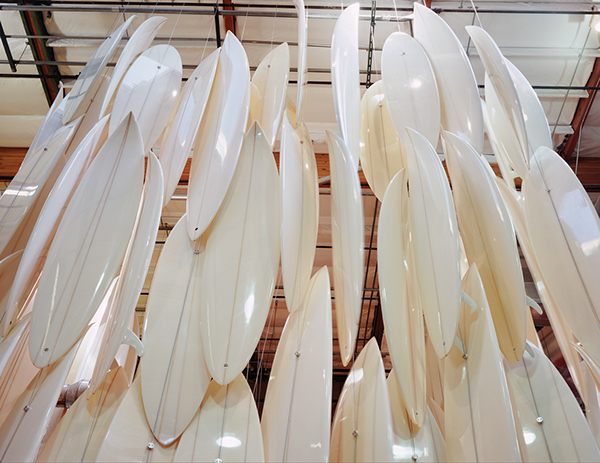 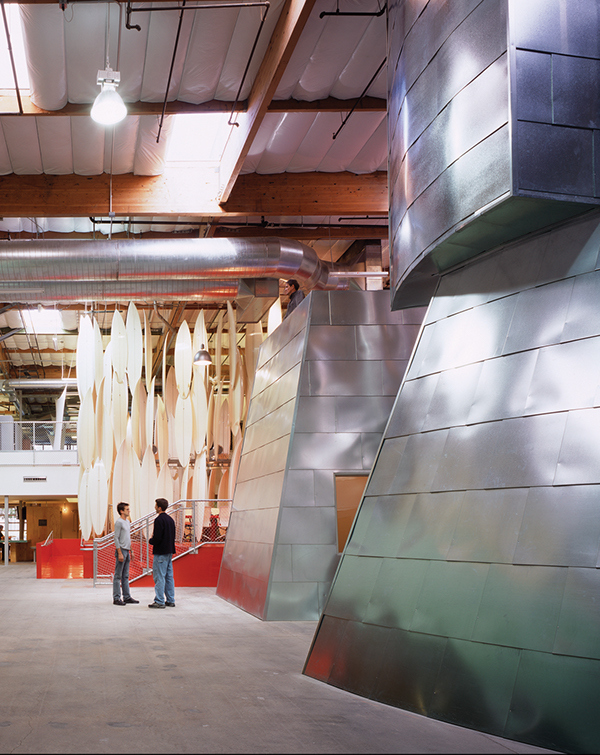 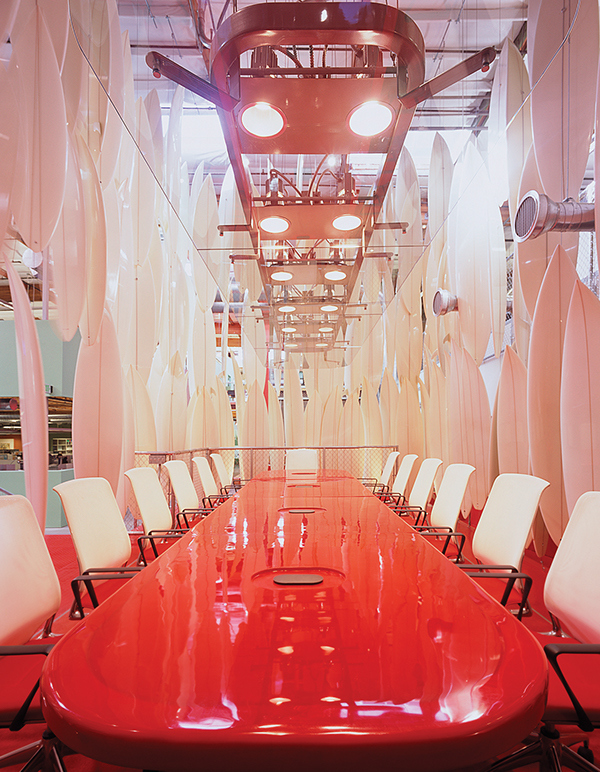 The public environment included a conference room enclosed by 150 custom surfboards suspended on steel cables, and a suite of custom designed ‘sheep’ furniture that graze through the office landscape as a reminder of the area’s recent agricultural history.